Social Media is where websites and applications enable users to create and share content or to participate in social networking. Businesses should have a presence on major social networks and engage with customers there, The most effective method for increasing sales or custom is getting the word out about your business, It’s important to interact with potential customers and make sure they know how & where to find your business on social networks such as Facebook, Twitter & other social media websites. Our social media service can help you build up your social media presence and start connecting your business with people not only in Ireland but globally too! Facebook – An Extremely Popular Portal, Commonly Used By Masses Of People Worldwide. Twitter – A Place To Provide Short And Catchy Content. Pinterest – A Visual Discovery Tool Providing Features Of Collection, Sharing And Uploading Video Features. Linkedin – Create Professional Profile Of A Client Providing Relevant Details Of Their Projects. Google+ – Easily Able To Integrate With The Google Search Engine. YouTube – A Place To Store Interesting And Informative Videos Explaining About A Client’s Product. 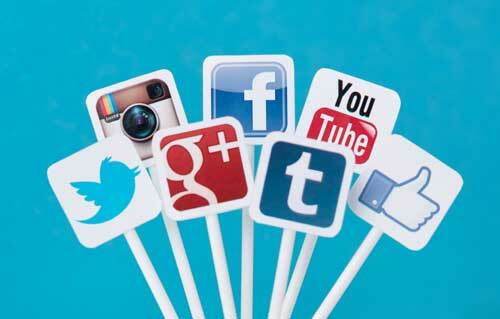 Build up your Social Media Networking presence through our Social Media Services and overtake your competitors!